The Wilson Group take its responsibilities for the wider community very seriously and as part of its annual Corporate Social Responsibility Plan, sponsor a different local Charity each year. This year their chosen Charity is Action Mental Health. Wilson Group were one of the main sponsors of the recent ‘Give it a Shot’ Clay Pigeon Shoot day which took place in the Field of Dreams in Bangor. The event which attracted many experienced (and not so experienced) shooters, also included, archery, a BBQ and raffle on the day. 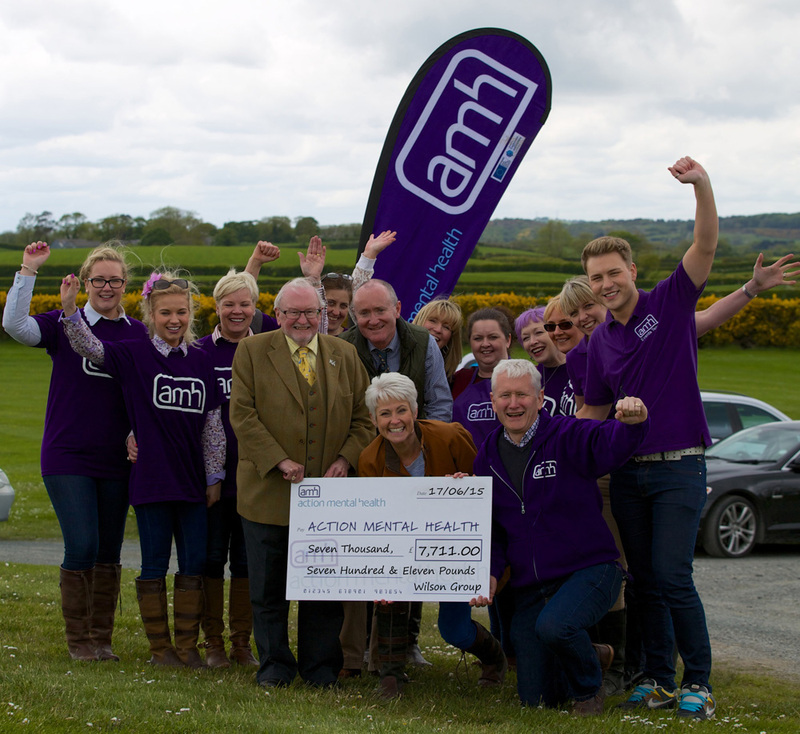 It was a huge success raising in excess of £7,700.00 for Action Mental Health. There are plans for many other events throughout the year and the Nursing Homes in the Group will hold various Open Day. All proceeds raised at each event will be donated to Action Mental Health. Whitehead Nursing Home, located at the promenade at Whitehead – 15-18 Marine Parade, Whitehead BT38 9QP (Tel: 028 9335 3481) held its Open Day on Thursday 18th June 2015. Great fun was had by all during the living history and story-telling sessions and the Buffet Lunch and musical entertainment provided were enjoyed by both clients and visitors alike. Everyone is welcome at the Homes various Open Days and all proceeds will be in aid of Action Mental Health, Wilson Group’s sponsored Charity for 2015.